1. 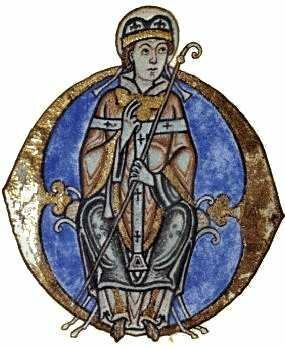 In 1077-8, whilst at the Abbey of Bec, in Normandy, Anselm (1033-1109) wrote two short studies dealing with what would now be termed the problem of the existence of God. The first, Monologion, dealt with the reality of the creator in a meditative fashion, with a particular emphasis on the idea that the existence of particular goods required and implied that the Supreme Being existed as the highest good. The second work was Proslogion. (Hereafter P; quotations from P are from the Penguin edition). However, the reference to the artist, with his work “in mind”, so to speak, reveals an ambiguity in the general claim that Anselm wants to make about existence, (viz, that it is better to exist in reality as well as in the understanding). Artists, great and small, and even writers of introductory studies on aspects of the Philosophy of Religion, know well that there is a difference between the intended and the actual work. Arguably, the former is, in a real enough sense for it to matter deeply, greater than that which is its expression. Thus artists, whether painters or composers, refer to the idea of the work in question, in order to evaluate its form – this is the “Here I was/am trying to do x line”. The point here can be put in a variety of ways; “The hunt is better than the kill” captures the sense of the matter in a peculiar and actually contradictory sort of way. “Anticipation and intention exceeds manifestation” puts it more formally, and, against the Cartesian logic (for those who know it), doubt is better than certainty since certainty is never actual and absolutism opposes progress, etc.